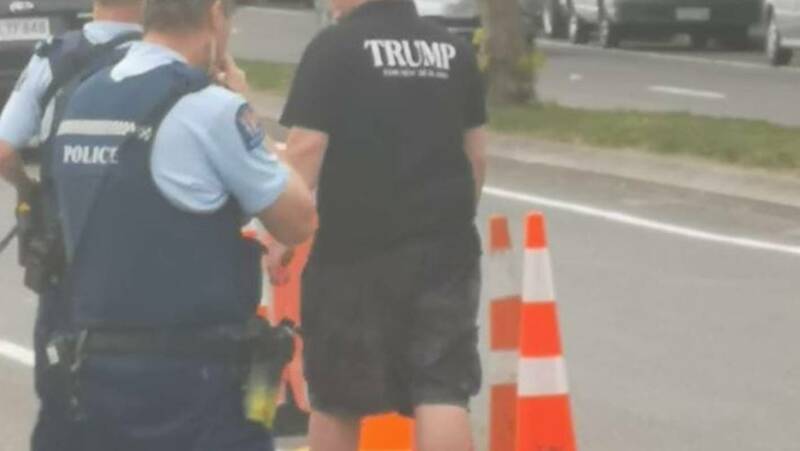 NZ Trump Supporter Arrested For "Hate Speech"
It has finally happened. Trump supporter arrested for “Hate Speech”. Our bill of rights declares everyone has the freedom to speech, thought, and expression in New Zealand. Arresting anybody for so-called hate speech is less than civilized. And the article is saying that they stopped a potential murderer. Looking also a bit like post-9/11 USA. Yo! I’m really sad for that brother! Go ahead and share it to your buddies around NZ! The truth needs to be spread. The Illuminati runs New Zealand sadly, and now they have squeezed even tighter. But, the truth will ALWAYS slip through their totalitarian fingers. This dude, like Assange, is a HERO to the cause of FREEDOM and LIBERTY. Millions of us in NZ, USA, and other Western nations need to stand up and thus, overwhelm their system. Unite to take down the New World Order!